An Uncomplicated Life Blog: High Five for Friday! Talking about the weather is really a pretty boring subject (and, errrr... By pretty boring I mean insanely boring and not worth discussing. Just go outside, or even look out a window, and you got it covered) but Y'ALL - it was only 90 degrees for most the week. That is AMAZING! I wore a sweater it was so cool. This summer polar vortex can stick around for as looooooong as it would like. Please and thank you. And sorry to all my Northern readers who's July days look more like a Texas January day... Bummer! 1) Henry turned two months old this week! He's gone from being a five pound, 12 ounce, four weeks early preemie baby to well over 11 pounds and in the 99th percentile for height. (Also in the 99% for weight!) I was always in the 97th percentile myself for height, so this was a proud mommy moment for me. We also learned some new strategies for trying to get Henry to sleep for more than two to four hours at night... Wish us luck! 2) If you follow me on Insta, then you likely saw this pic of my lovely afternoon Wednesday. As I mentioned, being a stay at home mom doesn't come with many on-the-job perks... But the ability to invite a girlfriend over for early afternoon champagne cocktails IS one of them. My wonderful friend Jenny brought us Thai for lunch, we enjoyed a few cocktails, then failed at making cupcakes (forgot the eggs!). Henry pretty much napped the whole afternoon, letting me have some fun girl time. 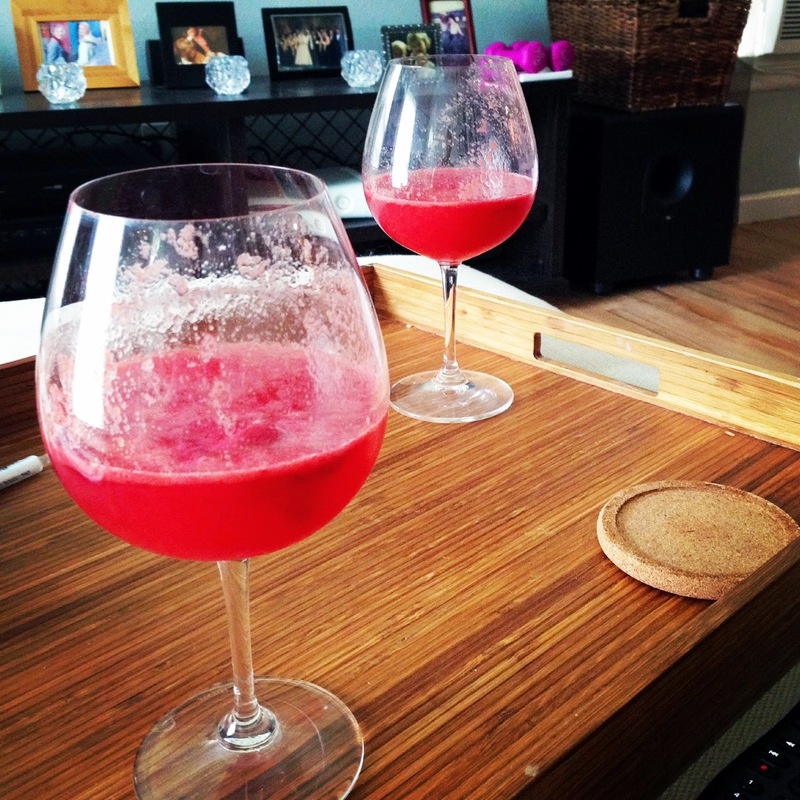 Champagne poured over raspberry sorbet. Delish. 3) I *THINK* I fixed my no-reply blogger issue. This only goes to show that Google+ is indeed the stupidest thing that's ever happened to anything or anyone. 4) I got my ticket booked to D.C./Dewey Beach next month for one of my BFF's 30th birthday party! I love D.C., love Dewey Beach, and love this group of girls. SO beyond excited for this trip! 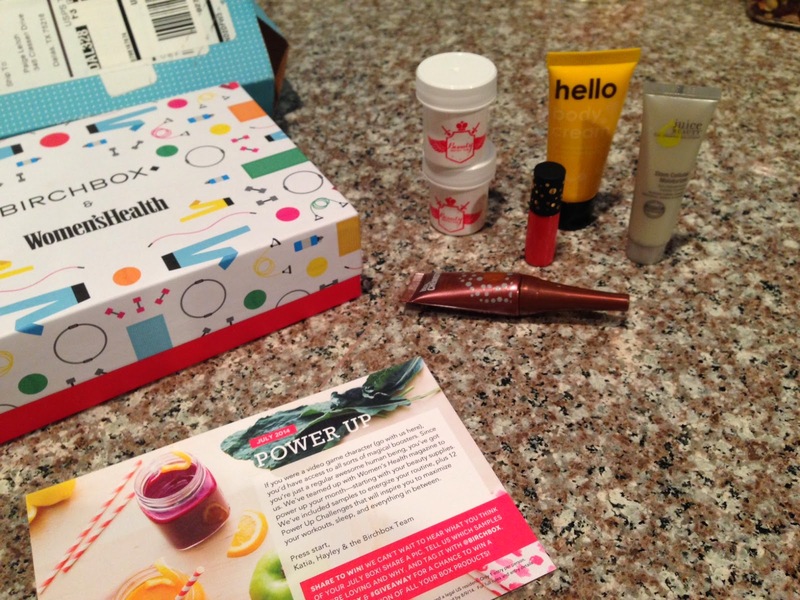 5) The day I posted about feeling frumpy happened to be the same day my Birchbox came! How awesome is that? I've been having fun playing around with all the goodies they sent me this month - there was only one dud of a product, and that was because it smelled way too perfume-y for me. Have a great weekend! As always, click on over to check out these awesome bloggers! 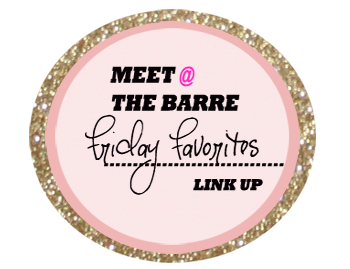 I just stumbled across your blog from the Oh Hey Friday linkup. I decided to stick around and look a while after I saw that you're a long distance runner and you like cocktails in the middle of the day. ;) That's my kind of friend! What an awesome way to spend your Wednesday afternoon. As a SAHM we need breaks when and where ever we can get them. I found your blog via the Friday Blog Hop. Have a great weekend.